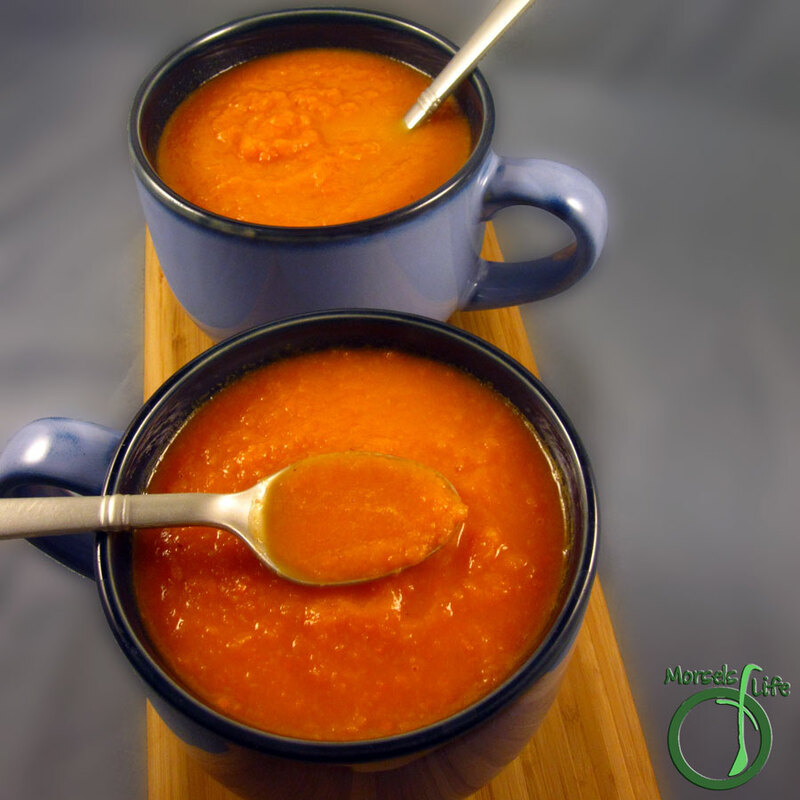 A sweet vanilla carrot soup so tasty you'll think it's dessert (with no added sugar). Serve hot or cold. Since we'd had a pretty big lunch, I thought we'd go for a lighter dinner (or actually no dinner at all, but then maybe we'd get hungry before bed?) Maybe just a soup would be perfect. Keep the hunger at bay without over stuffing ourselves. Plus, with this soup, it's almost like skipping dinner and going straight for dessert! 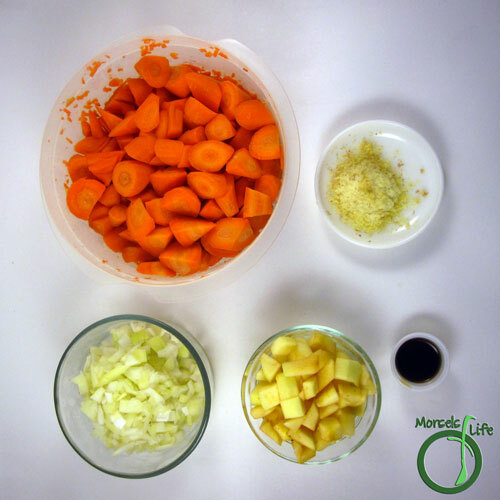 You could even roast the carrots for a richer, sweeter soup. As for me, I wanted something low effort and easy. 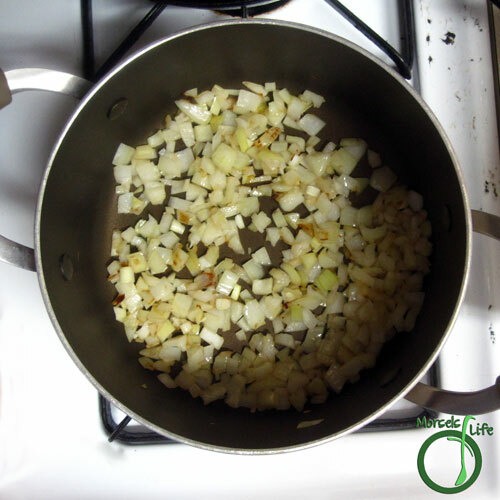 I did, however, saute the onions for a bit of extra flavor and sweetness. Next time, I might add some milk or cream for a creamier feel. Coconut milk might add an extra flavor dimension while making the soup creamier as well. What types of food do you like for a light dinner? 1.25 pounds carrots, chopped No need to cut smaller, although it doesn't hurt if you do. 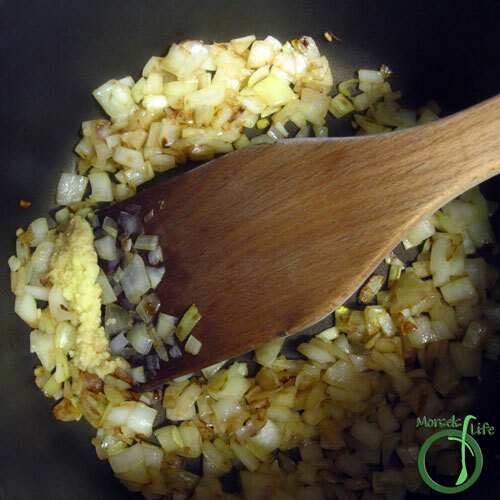 Cook onions in a bit of oil. 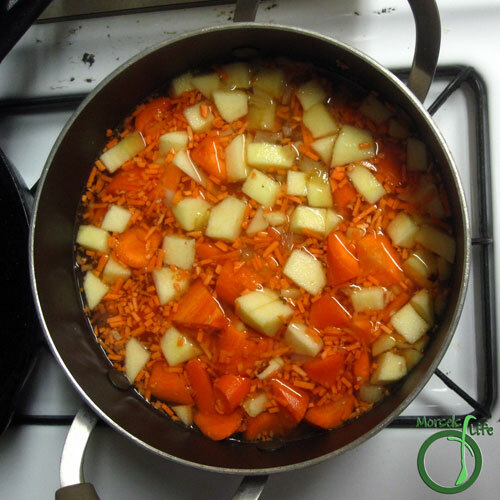 Add in remaining materials and heat until carrots soft. Pour into blender and blend until desired consistency reached. Serve hot or cold. 2. Cook onions in a bit of oil. 4. 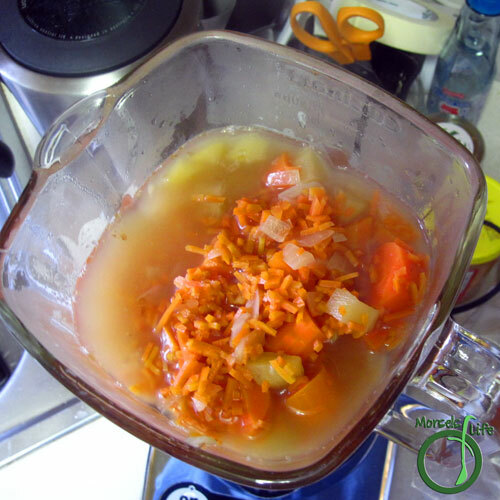 Add in remaining materials and heat until carrots soft. 5. Pour into blender and blend until desired consistency reached. Serve hot or cold. Very intriguing! Would not have considered vanilla in a carrot soup, but it does sound pretty tasty. The vanilla helped bring out the sweetness of the carrots even more. It was a bit unusual, but it just worked, you know? I've never tried vanilla. I usually add cinnamon. I'll have to try your new twist. Im curious - I need to try this! Thanks so much for linking up to Friday Food Frenzy!